Athens, the capital of Greece, is world-famous for its amazing antiquities like the Acropolis but also for shopping, great food and incredible night-life. The Athenian climate is one of the most pleasant and sunny in Europe and unless you’re in the (hot, sticky, noisy and smelly) city centre, you can make the most of the warmth and brilliant sunshine most year round, making Athens an ideal short break destination. The city has a lot to offer the visitor with humorous but also very traditional locals and the sense that you’re standing on the ground where so much ancient history took place. Many airlines fly into Athens including Easyjet with flights from London Gatwick and Manchester. 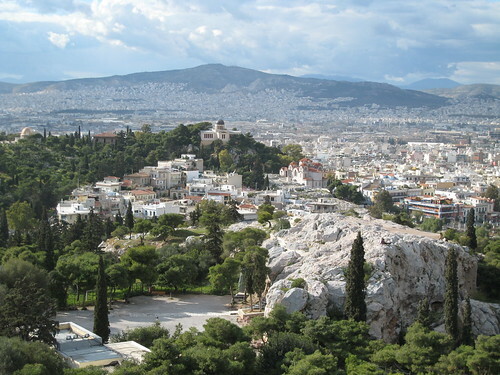 Athens is best explored on foot or by public transport options such as bus, tram or metro. I recommend either an early morning or late afternoon walk around the famous historic triangle of Plaka, Thission and Psyrii. These ancient neighbourhoods by the Acropolis coexist between the past and present. Syntagma Square is where the Greek heart of Athens pumps most strongly; the Parliament and most ministries are to be found there, with the major tourist attraction areas of Monastiraki, Kolonaki and Lycabettus Hill nearby. A visit to the amazing new Acropolis museum is a must. Don’t forget seaside Athens, so don’t forget your swimming gear – take a bus to the beaches at Faliro, Glyfada, Voula or Vouliagmeni. For something completely Greek, you simply must go to the bouzoukia to listen to some traditional Greek music Be prepared for some loud music, louder conversation and dancing. One additional bonus is Athens’ port of Pireaus, the gateway to most of the Aegean islands. This means you can easily reach some of the nearby islands, such as Aegina, Hydros or Poros, on a day trip. After a holiday in Greece’s capital you’ll need a few days of rest back home as Athens is often called” the city that never sleeps”. If you arrive home feeling refreshed, you probably haven’t been to the right places.